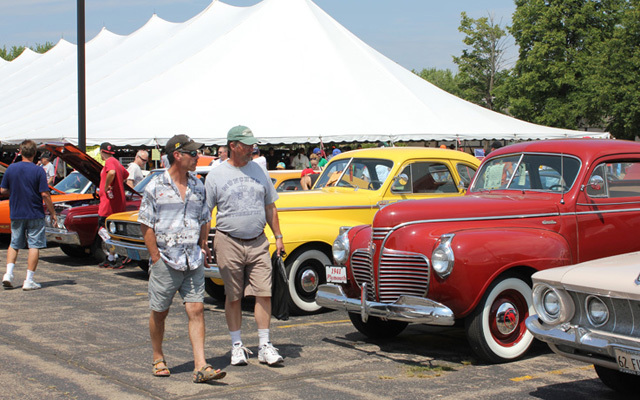 By the time you are reading this week’s Cars On Line newsletter we’ll be on the grounds of the 41st Annual Iola Car Show and Swap Meet in tiny Iola, Wisconsin. For the next three days this little rural Wisconsin community will be home to the Midwest’s Largest Car Show. The theme for the Iola Car Show this year is “Ford vs Chevy: Showdown in I-Town.” It should be an outstanding display of historic Fords and Chevrolets. We’ll be reporting to you from the show. You can follow us as we scavenge through 4,430 swap spaces hoping to find some parts for my 1928 Nash Coupe. They say there will be over 1,000 collector cars for sale, all in one place at the giant Car Corral. We’ll post photos of some of the best deals on our Facebook page. 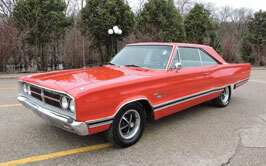 Be sure to check our Iola Car Show page to get in depth coverage of the cars and the action at the show all weekend. While you are there you can preview the show in a You Tube video. One of my favorite places to stop by at the Iola Car Show is the Krause Publications tent where they sell all of their left over stock of auto books and catalogues at less than half price. You can even pick up DVDs and Price Guides for cheap. The late Chet Krause was the founder of Krause Publications and the Iola Car Show. Then we’ll walk through the Concourse Tent and the Blue Ribbon Concourse where we’ll see over 2,200 show cars. This is a truly phenomenal display of historic cars from the ’20s, ’30s, ’40s, ’50s and ’60s. The Iola Car Show website began reporting that the first vendors were arriving on July 4 already. The four-day show actually started on Thursday and will continue threw Sunday. Watch for our posts on Facebook and on our special Iola Car Show page.